It sounds almost charming, by today’s geopolitical standards: “Oh look, the Brits and French are having a bit of a dispute over scallops, tee-hee.” But tensions over who has the right to fish for prized coquille Saint-Jacques scallops have escalated in recent days, and now The Local France reports the French navy has mobilized ships to the disputed fishing waters to try and calm tensions. Following a collapse of negotiations over the scallop-fishing areas off the coast of Normandy, fishermen have begun to ram each other with boats and throw stones. France’s agricultural minister last week warned British ships to stay out of the scallop-fishing waters, accusing them of exploiting a loophole in a previous agreement. 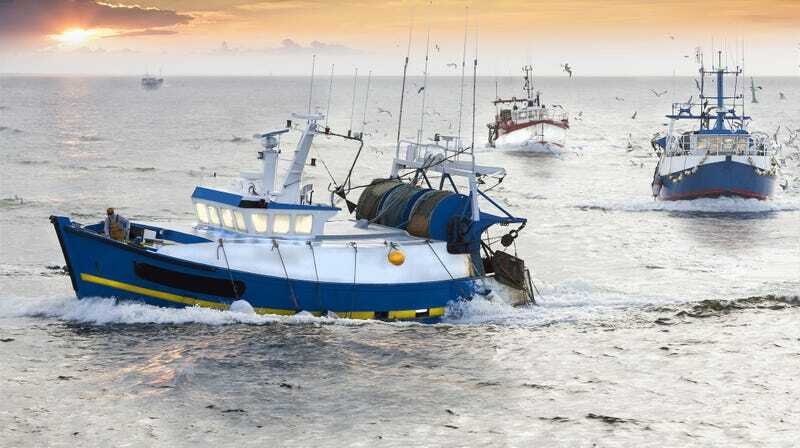 The agreement banned British boats longer than 15 meters from fishing for scallops in the waters off the French towns of Barfleur and Antifer; the French say British ships are taking advantage of this loophole unfairly. Britain’s upcoming withdrawal from the European Union is fanning the flames, the French agricultural minster, Stephane Travert, told The Local France, because France feels many of the British boats are “Brexiteers” who aren’t interested in respecting the existing pact. Travert says the French naval ships are now on standby in the area to prevent further clashes, and British naval ships are also reportedly heading there as well. Here’s hoping cooler heads prevail and the two nations are able to deescalate this salty scallops war.